Here we are in a fresh shiny New Year, with everyone making fresh, shiny, resolutions, but how about you just decide that this is the year you really look after your skin? With so many skincare brands out there, it can be so confusing knowing what you want or need, and that is part of the reason I am here. So to kick off the New Year, I am sharing a fresh, shiny new brand with you. I have been lucky enough to have been trialling a new skincare brand for a couple of months. 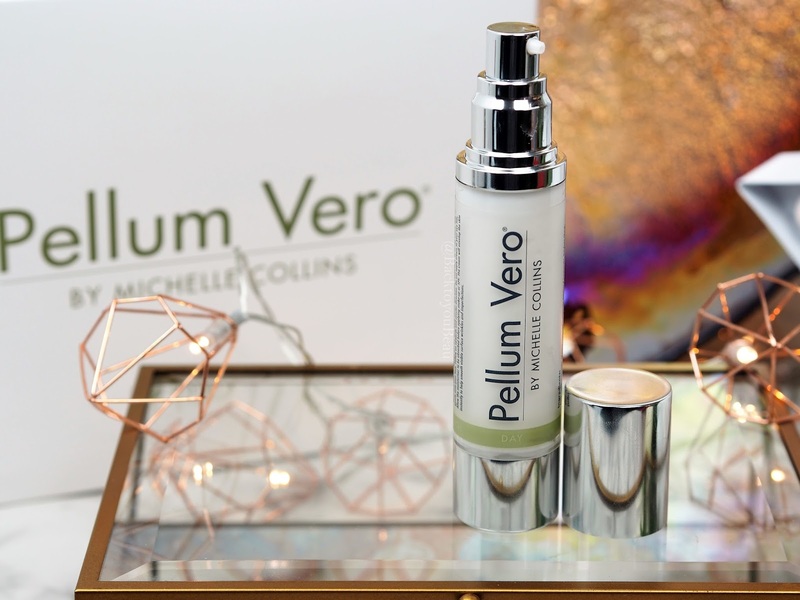 Pellum Vero by MC Skin Truth – aka Actress Michelle Collins, is a very affordable, easy to use, results driven skincare collection suitable for all ages but showing great results on 30+. Now, I know, whenever you hear of a “Celebrity” range of products, it raises so many questions? Has the person just put their name to it, is it just a money making scheme? Do the products even work? Well, having researched this brand and spoken to Michelles team, I can tell you that she was and is incredibly hands on with this collection at every turn. Over the years, having tried many skincare brands out there from incredibly luxurious high end products to the more affordable, Michelle was not seeing the results these products promised. A chance meeting with a product developer that introduced her to his top chemist was the piece of the puzzle Michelle had been looking for. 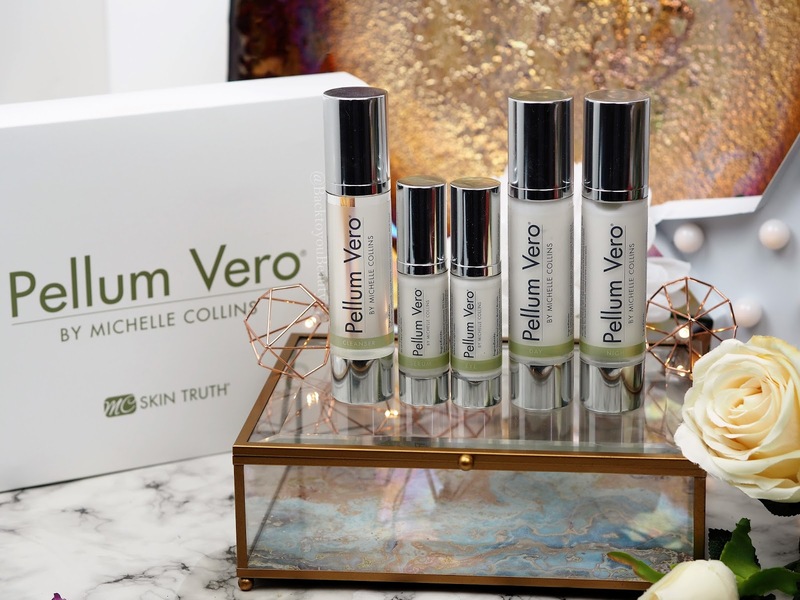 After much trial and error over a couple of years, Michelle was finally happy with the range that had been created with her vital input, likes, dislikes and expectations, and created the company MC Skin Truth. 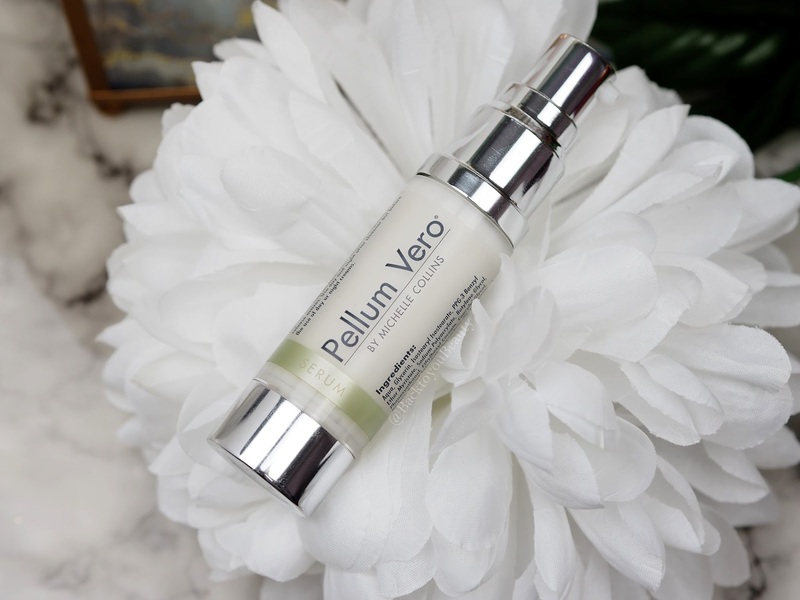 Pellum Vero from MC Skin Truth is a five step beauty routine containing hard working actives and is scented with beautiful Green Tea. It contains quality ingredients but at affordable pricing for everyone, and you know we love that! 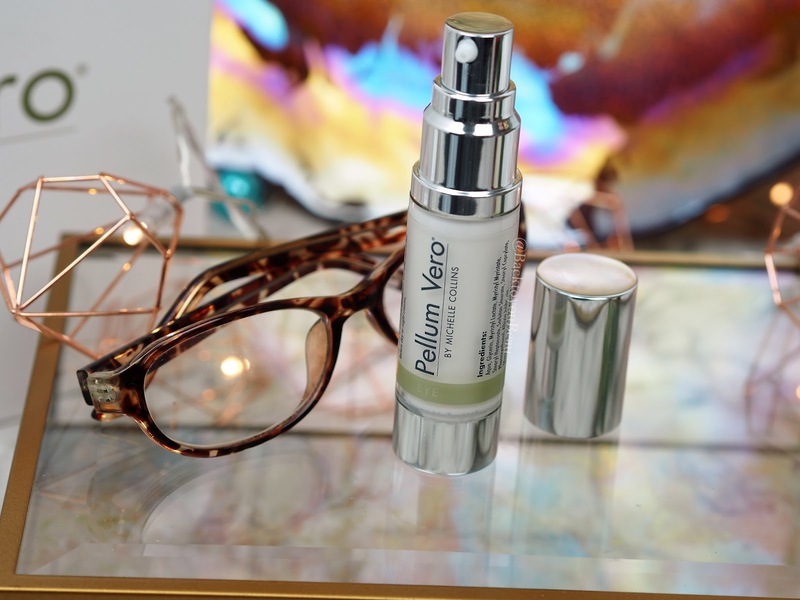 Aiming to help with hydration, loss of firmness and elasticity and help with fine lines and wrinkles, Pellum Vero is range that I am still enjoying using. Lets take a closer look. Containing ingrediants Caprylic/Capric Triglyceride and Squalane amongst other ingredients, this is not only a cleanser that offers an oil rich deep cleanse, but also focuses on hydration. With Caprylic being derived from coconut oil and Squalane from Olives you have a power packed cleanser from the offset that has natural antibacterial properties, can revive dehydrated skin, soften rough texture and resist moisture loss. It has a lovely emollient consistency which makes it easy to use across the face without any tugging or pulling. 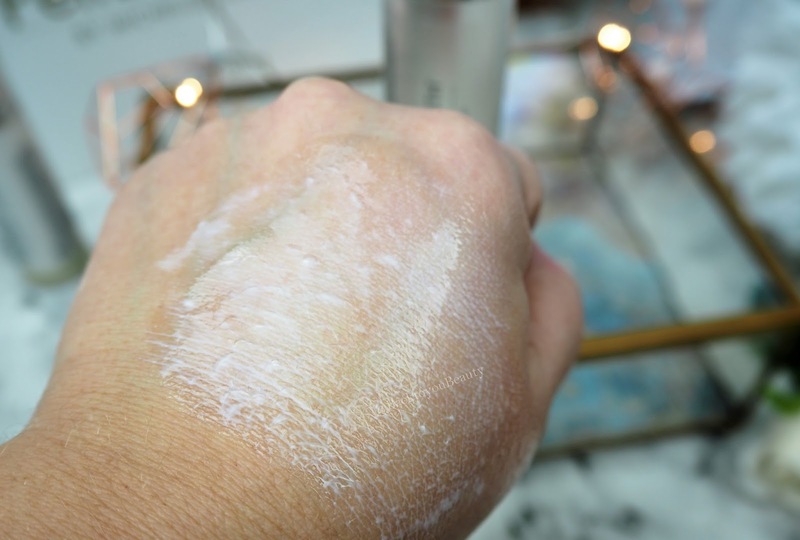 Add two pumps into dry hands and gently warm with the heat of the hands, massage onto to dry skin, avoiding the eye area and watch dirt, grime and make up lift off. Introduce some warm water and watch as it turns into a milky cleanser and gently wash off with a clean flannel. I have to admit this feels beautiful on the skin and my dehydrated skin is left looking and feeling super soft, clean and glowing. Only ever-so-slightly scented with beautiful green tea, this is a lovely, cooling serum. A lotion type texture as opposed to a gel or liquid, this almost turns to an oil when gently pressed into the skin. 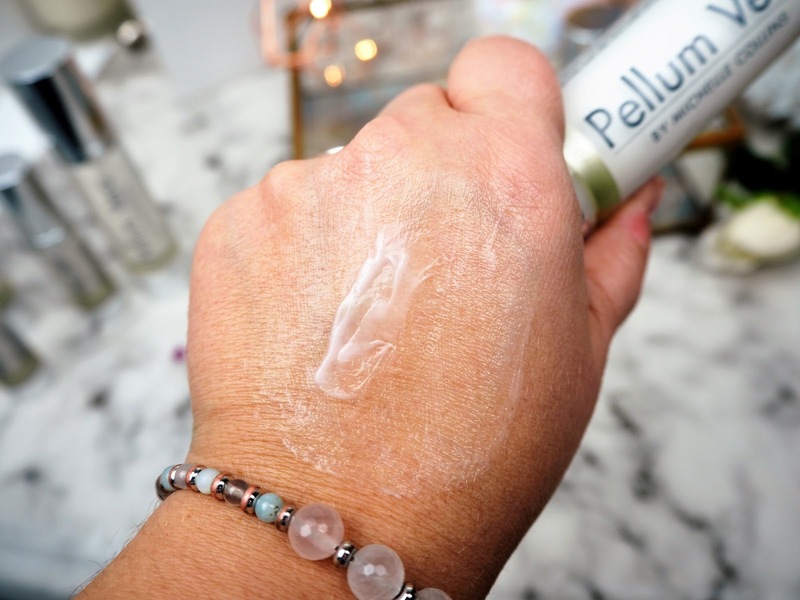 It works best applied onto damp skin after cleansing morning and evening and adds a lovely glow and burst of hydration immediately upon application. I find this serum really helps relax and fill out my fine lines around my lips and chin and it really is a pleasure to use and layer under my moisturiser. 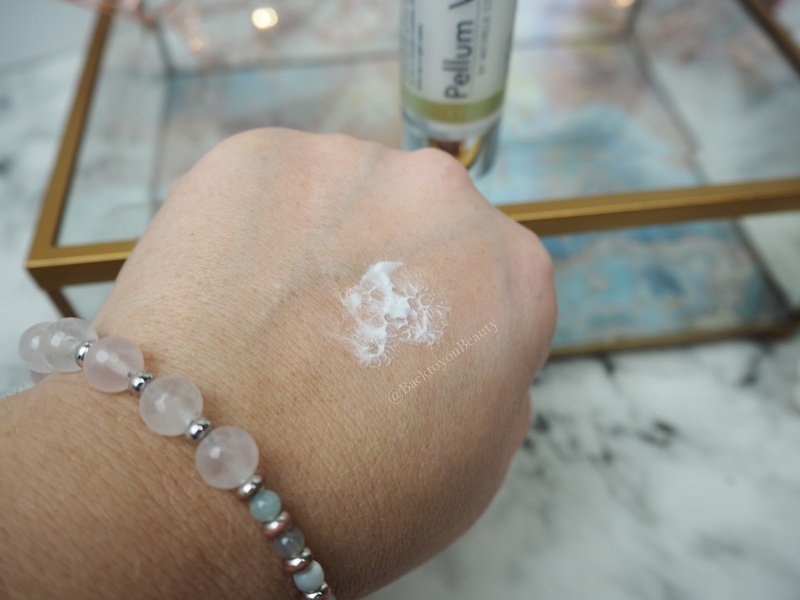 Containing Persian Silk Tree Bark, this eye cream is incredibly cooling and soothing when you use it, which I love. It is a slightly thicker texture than I am used to so I find that one pump actually does both my eyes, but you be guided by your skin. Now, i’m not going to sit here and declare that it magically erased my dark circles because, they really cannot be erased, but due to light reflecting particles, the whole area looks brighter and much more awake when I use this product. 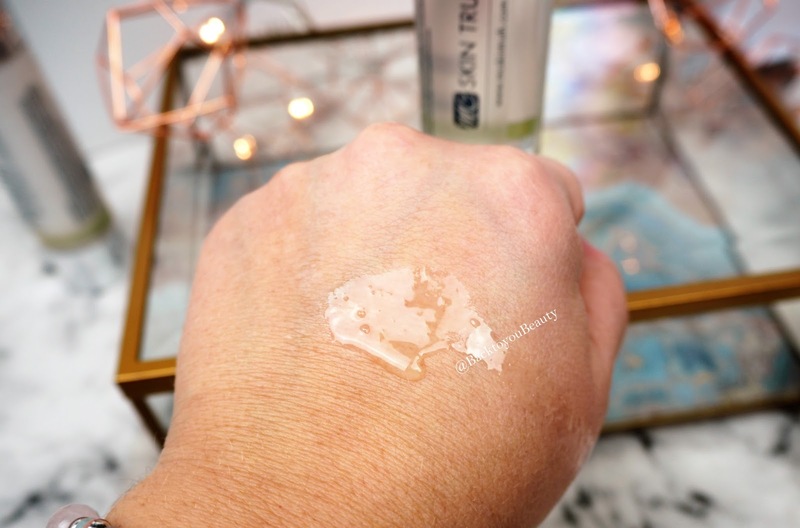 However, I did find that thanks to its cooling texture, my puffiness each morning reduced quickly and my lines and wrinkles were softened and hydrated making my eye area as a whole look younger and brighter. A really lovely, fresh eye cream that also works well over the serum above, but also tapped in as a top up throughout the day. A lovely day cream that locks in moisturise and provides a great base for SPF and make up. It works well with the rest of the range and applies easily without causing any roll off. My skin always felt soft and plump and hydrated all day after using this. Although I haven’t seen a reduction in my fine lines over the past 6 weeks, it is a very comfortable moisturiser that hydrates dry/mature skin well especially in these colder, winter months. 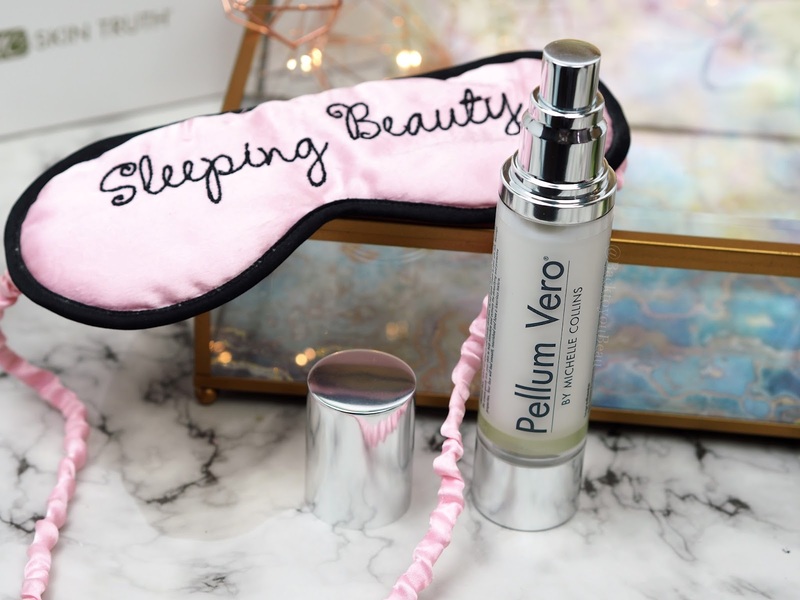 A slightly thicker consistency than the day cream, the Pellum Vero night cream works incredibly well at feeding and nourishing the skin as we sleep. Water based and containing peptides and the Persian Silk tree bark, it detoxifies the skin from the elements of the day, whilst smoothing and repairing the skin. What I love about this night cream is that it sinks straight in without leaving behind any greasy residue that would sit on your pillow. Skin looks brighter and fresher upon waking. 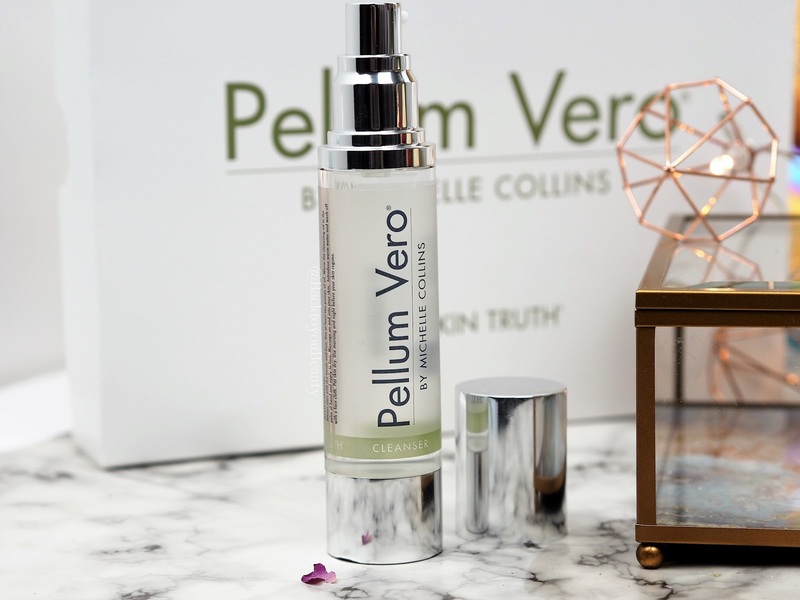 My thoughts on this collection – Pellum Vero is a lovely range of skincare that has worked really well hydrating my dry/dehydrated skin. I wouldn’t personally suggest this collection for an oily skin as they are quite oil based and incredibly nourishing and whilst oils are great for oily skins, I am not sure if this is the range for you. However, please let me know if you have tried this and had great success on an oily skin. I do, however, think this is a lovely range for a mature, normal/combo or dry/dehydrated skin type as my skin has remained hydrated, fresh and plump looking the whole time I have been using it. I have also noticed a lovely glow and my make up sits beautifully on top of this range. My lines and wrinkles have not disappeared, but by keeping the skin hydrated they are less noticeable. My favourite products of this range are the cleanser and eye cream as I really enjoy using them and love the immediate results they offer. The air tight packaging is simple and sleek, but, I just wish they would write what the product is in darker lettering as my poor eyes struggled hahaha. *Read Comment below from the brand, the packaging is being updated with clearer writing yay for me and you!! I think this range is lovely for anyone that wants an easy to use, step by step range that cleans and hydrates their skin in a flash, no matter how busy they are. I am looking forward to seeing what else Michelle Collins comes up with! Congratulations Michelle! This five piece Pellum Vero Collection is available as individual items or in a set HERE. 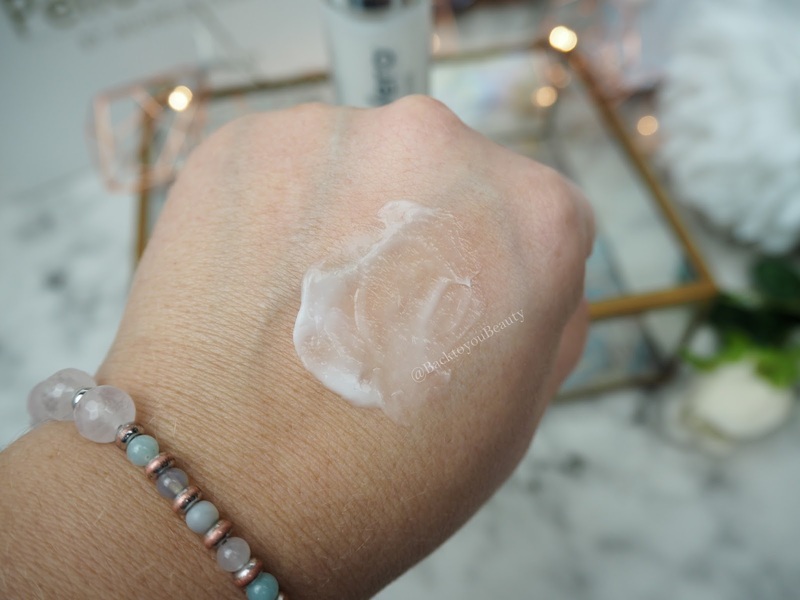 "Ten things i learned about Blogging in 2017 – Lets Talk"
"Qvc UK Beauty Product of the month – Skinsense Neck and Dec Cream"
I'd never heard of this collection before. The packaging is nice and your photographs are beautiful!